Talisker Bay, Skye, Hebrides, Scotland. 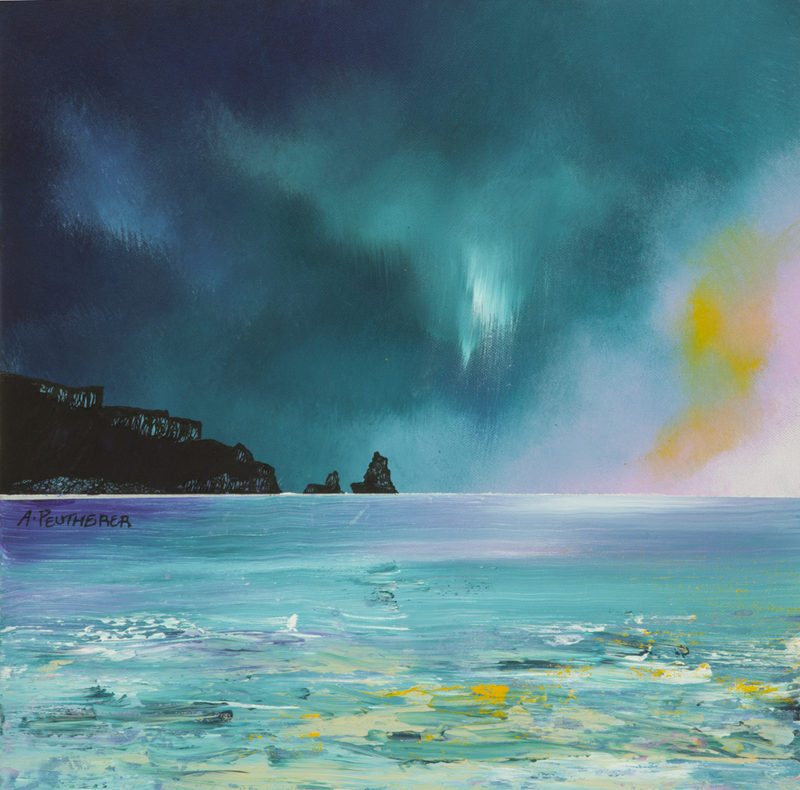 An original abstract, atmospheric seascape painting of a storm approaching Talisker Bay on The Isle of Skye. Part of the Inner Hebrides on the West Coast of Scotland. Painting & Prints of Talisker Bay, Isle of Skye, Scotland by Scottish artist A Peutherer. Paintings & prints of Skye - Isle of Skye, Storm Approaching Talisker Bay, Scotland.